#TBT and soon to be RIP to one of the betchiest childhood brands in the game. 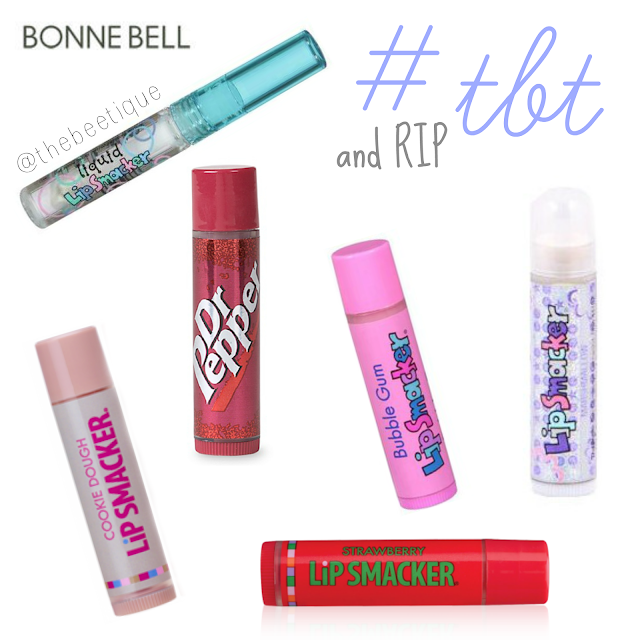 Could it be that Bonne Bell & Lip Smacker are soon to be extinct? But there is still hope for the future youth. The Bonne Bell company has 100% been sold, but the new owner will continue to distribute Lip Smacker products. Phew. Will they leave the same root beer childhood flavor in our daughters' and granddaughters' mouths as they did in ours? We do not know. Probably not. as Drake once said, #NWTS. Nothing Was The Same. So #TBT, #RIP, and #NWTS to our fondest retro product we had trouble hoarding over time.